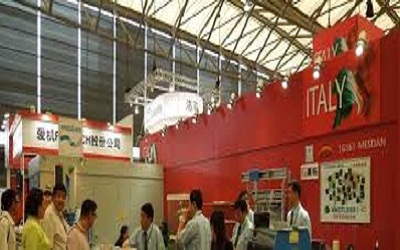 Assocomaplast (the Italian trade association belonging to CONFINDUSTRIA, which groups together some 165 makers of machinery, moulds and equipment for plastics and rubber) has issued its report on the sector’s performance in 2012 – based also on ISTAT foreign trade statistics – whose results are summarized below. Even more than in the past – and more markedly than in other Italian mechanical equipment sectors – production output was driven by exports, with an upward trend that, despite levelling off over the year, enabled Italian equipment manufacturers offset extremely weak domestic demand. In fact, the periodic business climate survey conducted by Assocomaplast on a sample of Italian processors also revealed a steep downturn in the domestic market over the course of 2012, which clearly also curbed the firms’ propensity to invest in new machinery. That said, the most recent 3-4 month forecast shows a less pessimistic outlook. According to the latest bimonthly survey conducted by Assocomaplast among its own members (i.e., among machinery makers), in the coming months respondents do not expect to see significant changes in orders for equipment. Going back to exports, an analysis of the equipment categories accounting for the most significant shares of the total, excluding the generic and/or aggregate groupings, shows sales of extruders up by 9 percentage points, and blow moulding machines up by 18 points. Injection moulding machines, by contrast, lost their former importance in value terms, with a 20% decline in 2012 compared to 2011, also as a result of certain long-established manufacturers going out of business or experiencing severe difficulties. The main destination countries for extruders (each accounting for between 22 and 26 million euros in value terms) were Germany, Russia, France and China, with double-digit increases compared to 2011. The advance of blow moulding machines can be attributed, in particular, to much stronger demand from the United States (up from 11 to over 20 million euros, making the US by a wide margin the top destination market for this category of machines), Russia (up from 3 to 7 millions) and Poland (up from less than 600.000 to 4.7 millions), to mention only the most salient examples of year-on-year change. Moulds merit a special mention, as they by now account for over a quarter of total exports, and ended 2012 with a 19 percentage point rise relative to 2011. In the case of moulds, there was a notable boom in exports to Serbia, up from 1.4 to over 21 million euros (probably partly attributable to the FIAT factory at Kragujevac), as well as higher sales to Poland (+37%, to reach around 48 millions) and the United States (+71% to reach 22 millions). It is worth noting that the trends which emerge from the regional break-down of the sector’s exports – and namely an increase in sales to Europe and North America set against decline in sales to South-America and, even more so, to Asia – have also been also felt in the other countries that manufacture this type of machinery. More in detail, the ranking of the main purchasing countries of Italian exports shows the first five places to be occupied, in the same order as in 2011, by: Germany (with 14.6% of the total, and a 6.8% increase), France (6.8%; +10.9%), United States (6.2%; +32.9%), China (5.4%; -6.4%), Russia (5.2% +17.8%).